Slab leaks are simply water leaks that occur below a concrete slab. It is important to understand the causes of the leaks and be able to detect one and understand why they can be dangerous for your home. What Causes of These Leaks? There can be many causes of leaks below a concrete slab, but the most common one being clay below the foundation. Shifting and heaving the soil below the concrete slab puts massive pressure amounts on the slab to cause shifting, heaving and cracking eventually. The many types of clay are the main cause because clay shrinks when dry and expands when wet. This can lead to major foundation problems for your home. 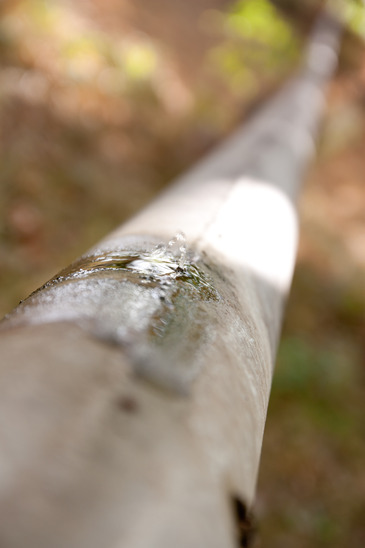 These leaks have a tendency to weaken the foundation of the entire home. This is true as well for concrete and steel because of the water pressure it creates can often result in a foundation shift that can crack and collapsing. These leaks can create more prevalent problems to homes that were built over 30 years ago whose foundations were concrete slabs. These homes were built with copper piping for water plumbing and in many cases this combination has proved dangerous. Ruptured copper pipes will be evidence, and it can take quite a while before noticing the problem. That is the reason it is crucial to comprehend that these leaks are far beyond just irritation. They can severely damage the foundation and the time and money to repair the damages is very costly. A damaged home is an unfit place to live especially if there are children in the family. A health issue is not something to hold lightly. This is one of the potential dangers that these leaks can cause. When water stands for a long time, it becomes a mold breeding ground. As they grow, they infect your home slowly without you noticing it. When breathing in the mold for a considerably long time you will have respiratory problems. Rotting will take place and cause serious issues as time progresses. They will enhance a damp environment. When mold grows, it often leads to problems like wheezing, coughing and other upper tract respiratory conditions. For infants and children, the effect can be greatly severe. The good news is that these leaks can be detected and handled by a slab leak detection specialist. Waterlogged carpets and ruined floors. When water sips into the structure of your home underneath, it will have to climb upwards cracking the floor and tiles as well as soaking carpets. Foul odors. These leaks often cause your house to have a nasty odor. If the leak is in a sewage line, the smell will be of the sewage. Damage to your foundation. Your house foundation is the stronghold of the entire building. The leaks weaken the structural foundation of the home and undermine the integrity of the concrete as well as the steel supports. In the end, the pressure of the water will shake or shift the foundation and make the building collapse. 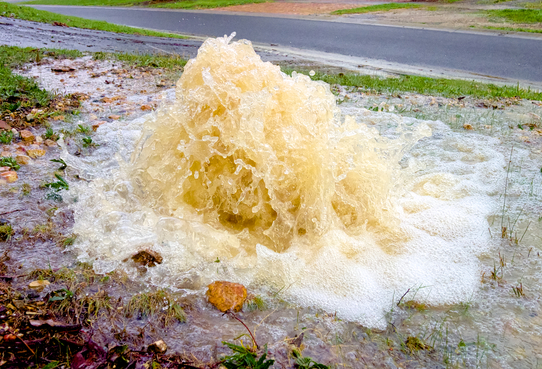 These leaks should always be taken seriously and opt for a trenchless repair in Fort Worth. Remember not all plumbing services can redeem this problem. If you suspect a leak in your home, call an expert immediately and start solving this dangerous situation. Our team at Accurate Leak and Line can provide you with the solution you need when dealing with a slab leak in Austin, San Antonio, Dallas and the Fort Worth area.